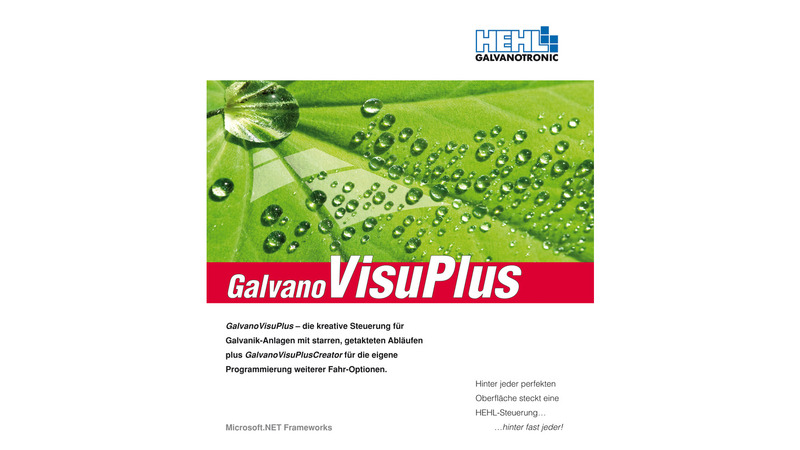 With the GalvanoVisuPlus system you can operate both: clocked and free-moving sequence programs. This offers plant operators of systems with rigid sequences a degree of flexibility. For example you can write a sequence program for a new product that is to be run only once or very rarely yourself, without the need to commission the software manufacturer to do so. 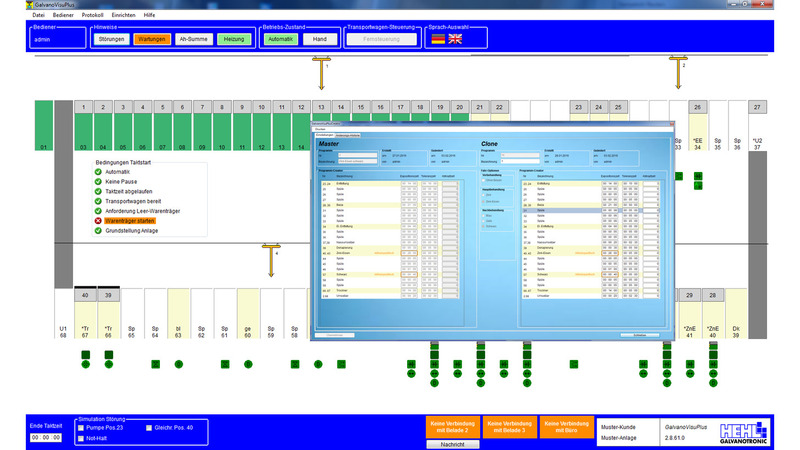 The ProgramCreator is very easy to handle..
GalvanoVisuPlus automatically conducts all further calculations. In this way the operator of a clock-controlled plant can react at short notice to customer requests and carry out a special order that deviates from his standard programs. relevant circuit diagram page is automatically retrieved in the case of a fault, and the defective module is displayed. a program, it is possible to define a dependency to the original (master), so that the copy is viewed as a clone. Changes to the master can then be transferred to all assigned clones. - PDF document management for operating instructions etc.